Your Family Dentist in Park Slopes Says Don’t Ignore Bad Tastes! Have you been experiencing a bad taste in your mouth for a prolonged period and can’t seem to get rid of it? Your family dentist in Park Slope says this could be a sign of trouble and could be the result of worsening tooth decay (cavities), which is why you shouldn’t ignore it. To learn more about how cavities contribute to foul tastes and how your dentist can help restore your normal function, continue reading. 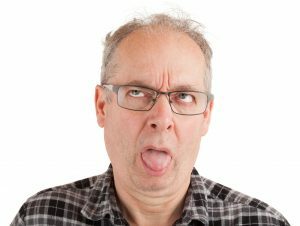 One thing to be clear on first, is that it’s normal to have momentary unpleasant tastes in your mouth from time to time. It can be from strong flavors of certain foods, drinking alcohol, smoking or temporary changes in your oral condition from fluctuations of the acidity in your mouth. If the foul taste persists, though, it could be a sign that there’s a problem, and one of the more prevalent one is tooth decay. A cavity can develop over years, so by the time you notice a persistently foul taste, it could mean that the decay of your tooth as advanced significantly. What Causes the Foul Taste? The culprits of tooth decay are bacteria. These creatures first developed the moment you started eating solid food as a toddler, as they’ve continued to feed on any leftover food in your mouth. As they fester, a couple of the byproducts from them are foul smells and tastes. If the foul taste or odor won’t subside with your oral hygiene regimen of brushing and flossing your teeth at least twice a day, then you should contact your dentist to schedule a visit. He’ll first apply a local anesthetic to numb the area around the tooth. The next step is to drill down to the infected area of the tooth. Your dentist will then remove any decayed tissue and shape the tooth to prepare it for the tooth-colored filling. Next, he’ll etch the tooth using an acid solution so that the resin compound will properly adhere. Finally, the resin compound will be added and shaped to fit the look of your other teeth, and then your dentist will use a special light to harden it. In this single-visit procedure, your bad taste will be addressed, and you’ll be left with a fully functional tooth that looks just like your other ivories. So to get the help you need, don’t hesitate to reach out to your dentist in Park Slope today! A second-generation dentist, Dr. Frank J. Sapienza has been creating beautiful smiles for over 30 years. This graduate of the New York University College of Dentistry takes a unique approach to the profession, combining the comfort of a spa with the expert care of a trained dental staff. 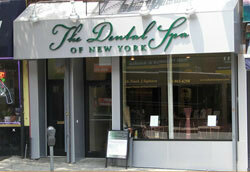 Dr. Sapienza practices at The Dental Spa of New York and can be reached for more information through his website. Comments Off on Your Family Dentist in Park Slopes Says Don’t Ignore Bad Tastes!